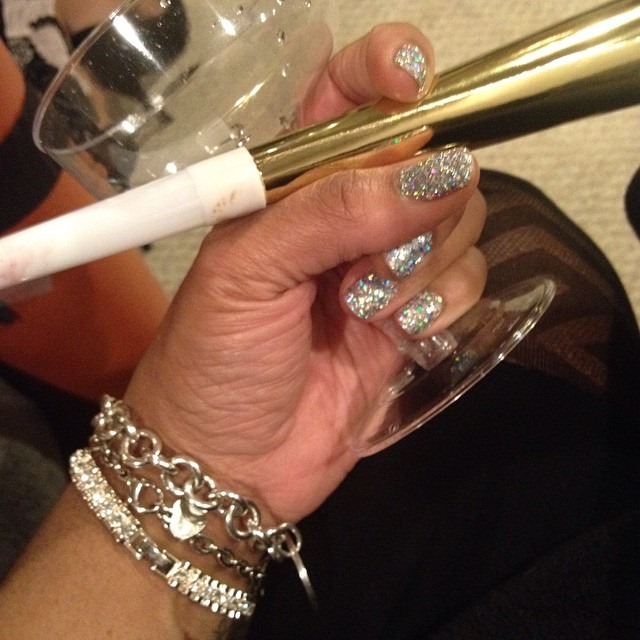 For New Year’s Eve, I felt like my nails wanted “Go Big Or Go Home”…. and that meant shine bright like a diamond!! I needed glitz and glitter. So I pulled out silver iridescent loose glitter in two sizes. It turned out better than I even imagined. And I loved them. They were the best party accessory ever. 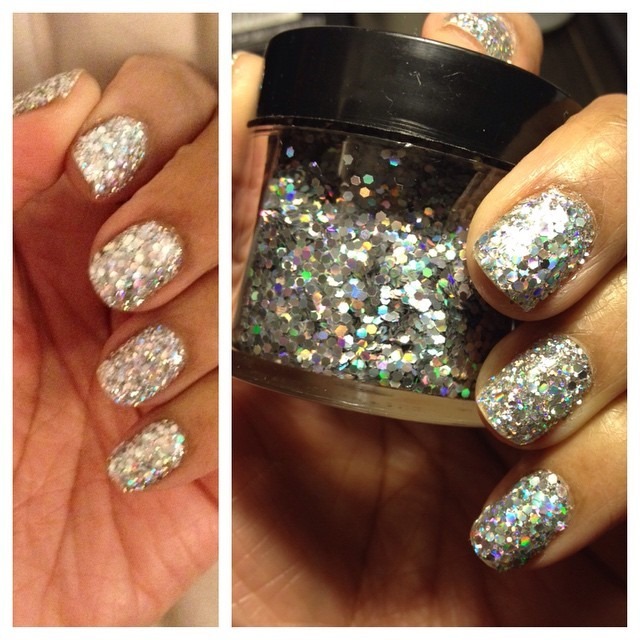 This entry was posted in Nail Art, nails, Uncategorized and tagged glitter, NYE, party.